We have decided to continue our on the road adventure back home in New Zealand. 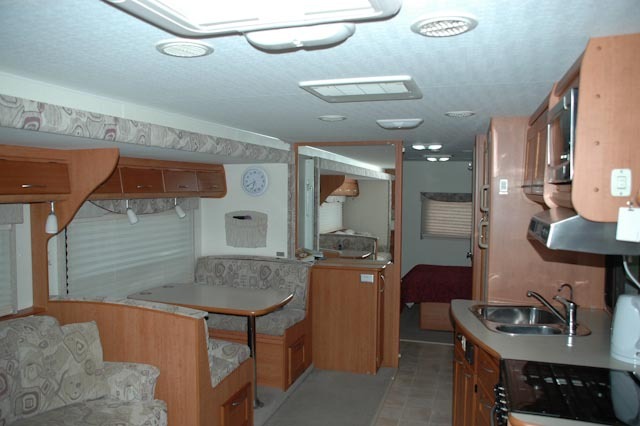 We hope to take possession of our NZ motorhome very soon. Enter the vehicle via the electric steps that glide out as you open the door. Press the lounge slide out button and your apartment on wheels appears. You have now faced with a large lounge area with permanent set up dinning area. Storage around the lounge area is ample with eight storage lockers just in the lounge area alone. Sitting in the lounge looking back towards the entrance door you are faced with a well-appointed kitchen with 4 large draws and plenty of under sink storage. There is an extra faucet here that delivers lovely fresh filtered drinking water. You have a full oven and 4 ring-cooking top with extraction hood. 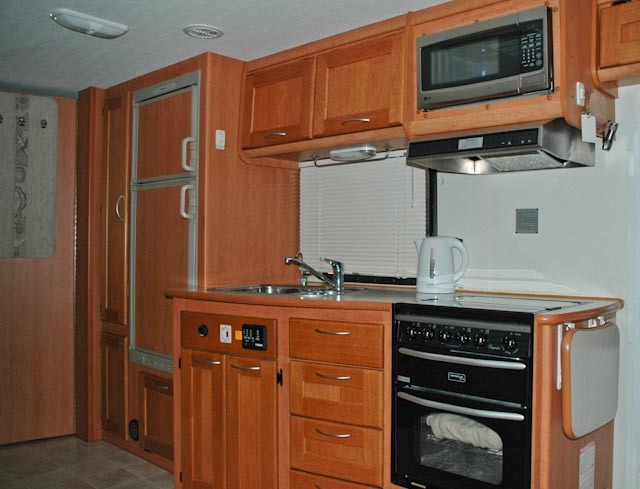 Above the cooker is a powerful microwave and two more large cupboards for plates - crockery. 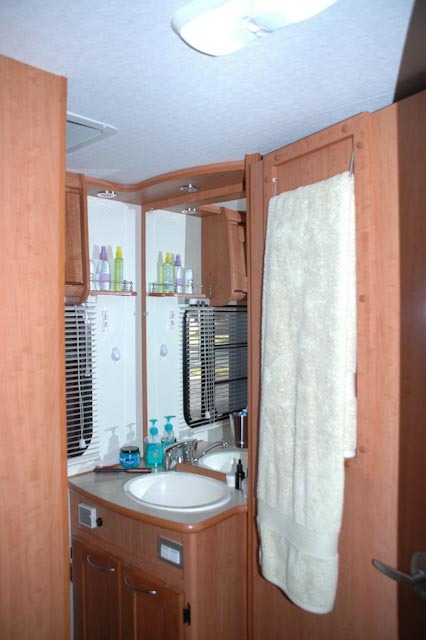 The condition of everything in your motorhome is open to full inspection. We run a very clean and tidy ship. 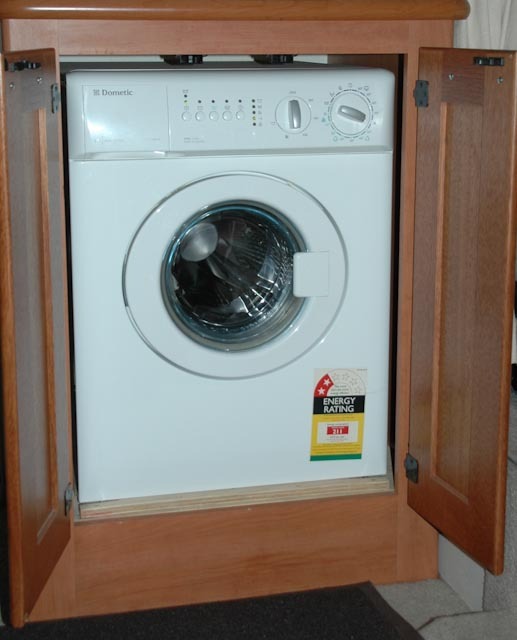 Never any pets or smokers have passed through the door, everything is in excellent working order. To the left of the kitchen area is the three way fridge freezer. This will run on 240volt - 12volt and gas so your never short of a cold one on the warmest of days. To the left of the fridge is a modern slide out vertical 4 basket food storage system. Beneath this is a second deep storage cupboard. Included in the sale is a complete set of kitchen items from saucepans, electrical goods right on through to teaspoons. There is even all the new bed linen, pillows etc. 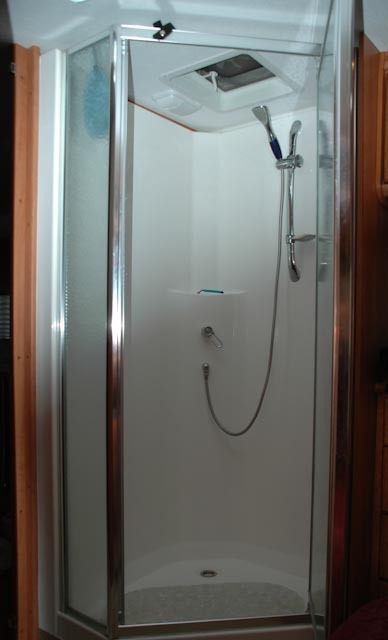 Open the door through to the bedroom area, press the slide out button and your bedroom magically grows to accommodate the full shower and separate toilet and vanity sink. 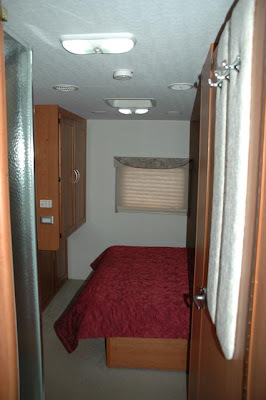 The bedroom had plenty of storage with draws and wardrobe. Lift the end of the bed slightly and the support struts lift the bed to reveal what we call our 'secret' stash! You can carry enough food and supplies under here for months on the road without any major shopping. 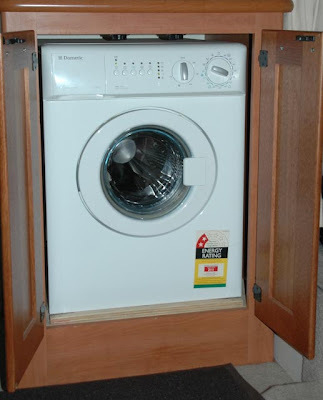 Forget parking up on sites (unless you want to) she has a silent onboard in house start generator that will run the air con and do the washing at the same time. 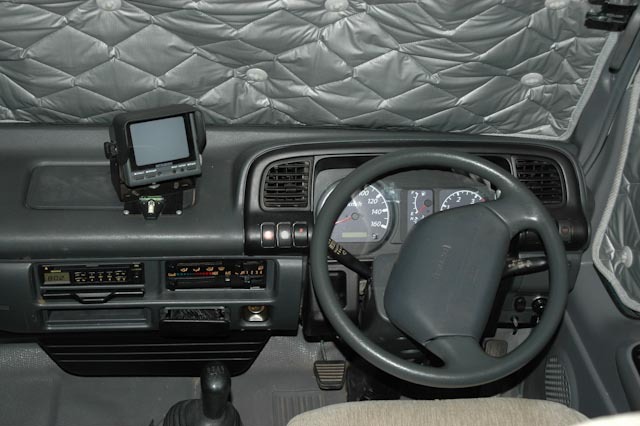 However, rarely will you need this because she is fitted with large solar panels that keep the house batteries in tip top order even when you are just parked up. The batteries are then passed though an intelligent inverter which knows when you are on mains- or just battery power. The inverter means you can run your 240volt appliances without being hooked up to mains power. The real power of this is that every time you free camp you are saving anywhere from $30.00 to $60.00 a night in camp fees and that fills up your diesel tanks for the next trip. We actually met a couple who had been on the road for just over 9 years and had managed to put away near a million dollars. The 5 meter rollout awning provides ample shade but we added two very nice extras. 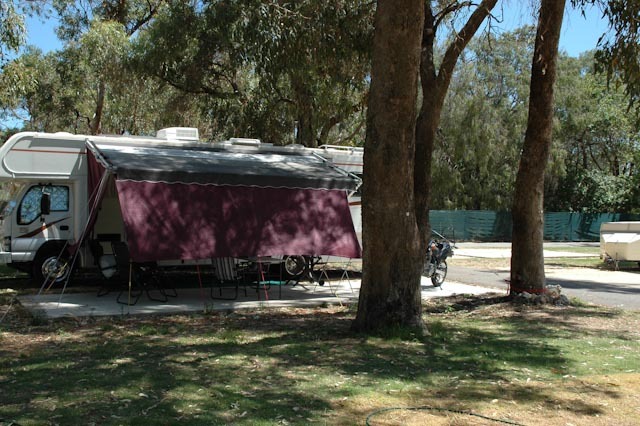 To the front of the awning was have a slide in extra sheet that is 5 x 4 meters. You can let this hang vertical as a swinging sunshade or peg it down to create a more private outside room area. We also added a side curtain to block any through wind or create even more privacy. There is a brand new gas BBQ, - large table - 2 luxury recliners and 4 other seats - cloths airer - brand new large king toolset - spare fuel cans. We also added a set of max trax recovery tracks and a heavy duty recovery kit - all unused. When you park up you may want to nip into town or just take a quick tour of the area. 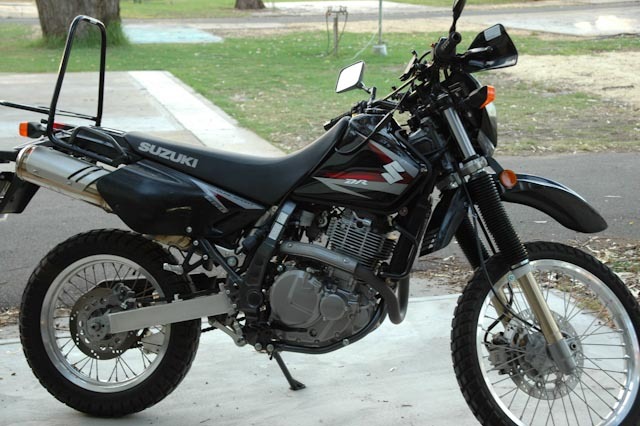 Pop round the back and roll of the $1,000 bike rack your suzuki DR 650. This is a 2011 model and only has 5,000ks and is still under manufacturers warranty.We are throwing in the helmets so you are ready to go. There is just way too much stuff for me to list here for me to continue listing. She has just been serviced, new tyres on front and track alignment all done. No expense spared on any maintenance and we have all receipts for work completed. 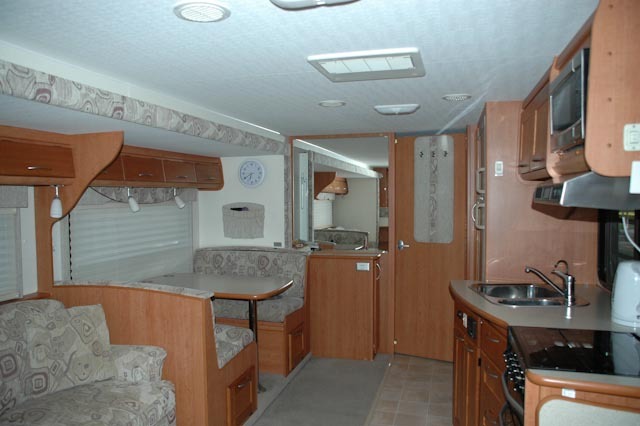 You are purchasing a turnkey motor home - all you have to add is your food and you are good to hit the road. To fit out a motorhome to this level you can easliy add $4-5,0000 to your purchase price. 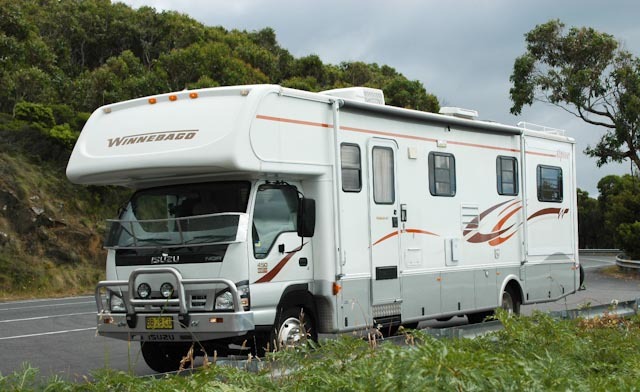 We are throwing everything including the motorbike into the one bargain price of $186,000 AUD (we will split the bike if you don't want it) If you are serious about wanting a top quality motorhome ready to roll this should definitely be on your viewing list and you should come and see us ASAP. We happy for any proffesional inspection to take place if you wish. 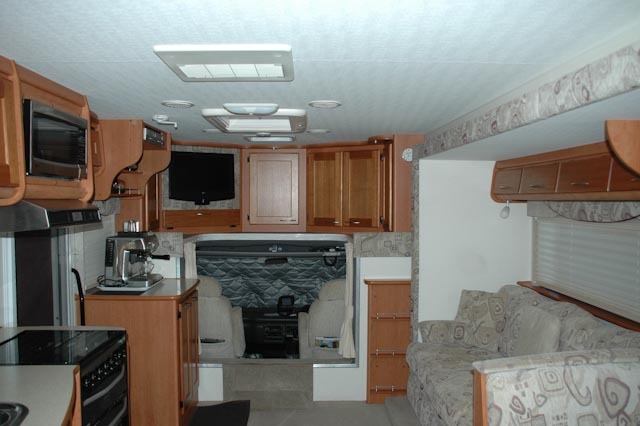 The ONLY reason we are selling our motorhome is because circumstances dictate we return back home to New Zealand. Here are a few pics for you. Martin Cole. Travel theme. Powered by Blogger.